Depending of the extent of damage, some repairs are best done in the factory, while others can be easily done by any experienced workman, some very minor repairs can even be done by the owner of the Geochron himself. On this page you can see the main Geochron spare parts. Mounting the Geochron is not done with just any kits and equipment. 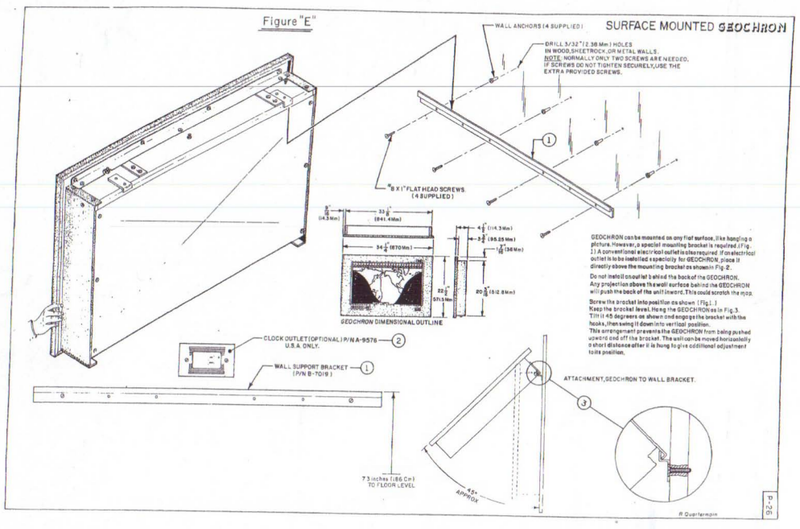 They require the use of a mounting bracket custom built for it. You’ll get the bracket included in every pack of new clock you order from the factory, although possibilities of getting lost during transit exist or also when the clock is a gift from a friend or relative. To flush mount the Geochron, you’ll need a special pair of flush mount brackets and a recess in the wall. 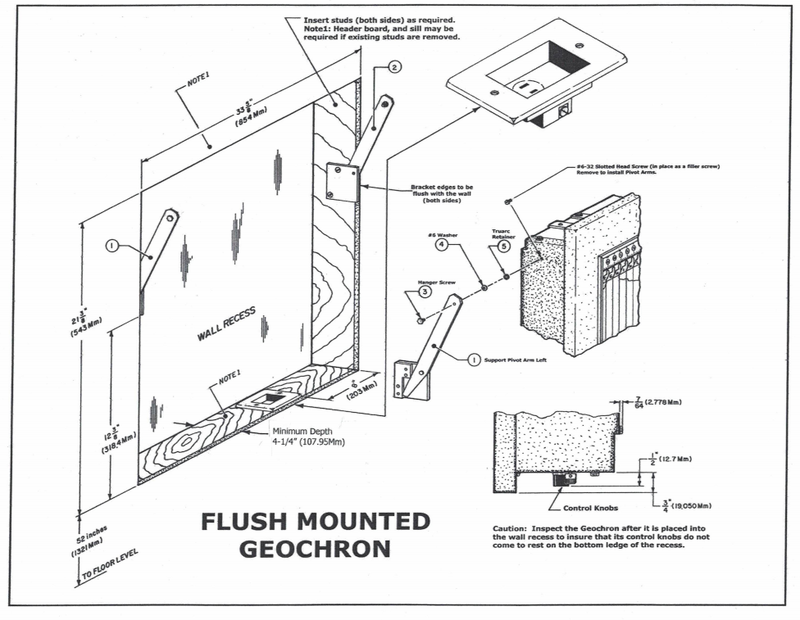 Although these flush mount brackets are considered quite important, they do not come included in the Geochron set. The flush mount bracket enables the owner to be able to swing the clock from a recess in order to be able to access the electrical cord and setting knobs. We can supply replacement bulbs (x2) and starters (x2) for your Geochron. The upgrade in Geochron lighting system has seen newer versions of Kilburg and Boardroom added to the system. To upgrade your Geochron, you will need to send the clock back to ourselves. We will make rebuild to include all new features of the upgraded version of LED lighting system. Too numerous to list here, this would include sun shades, gears of all shapes and sizes, screws and washers. For the adventurous do it yourselfer, those parts are neatly organised in our shop. Take a picture of what you need, and contact us.